The 21 Series applies the most popular guitar soundboard wood (solid spruce) with an exotic striped ebony back and sides. The aesthetic is subtle and refined with a satin finish, timeless hand-inlaid wooden rope rosette, and matching purfling. 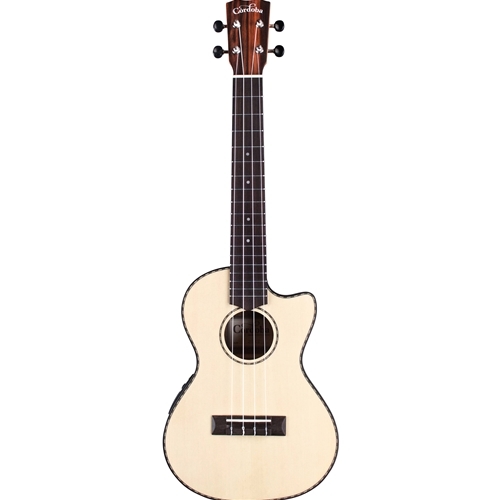 The Tenor Acoustic/Electric model also features an active pickup with 2 band EQ.